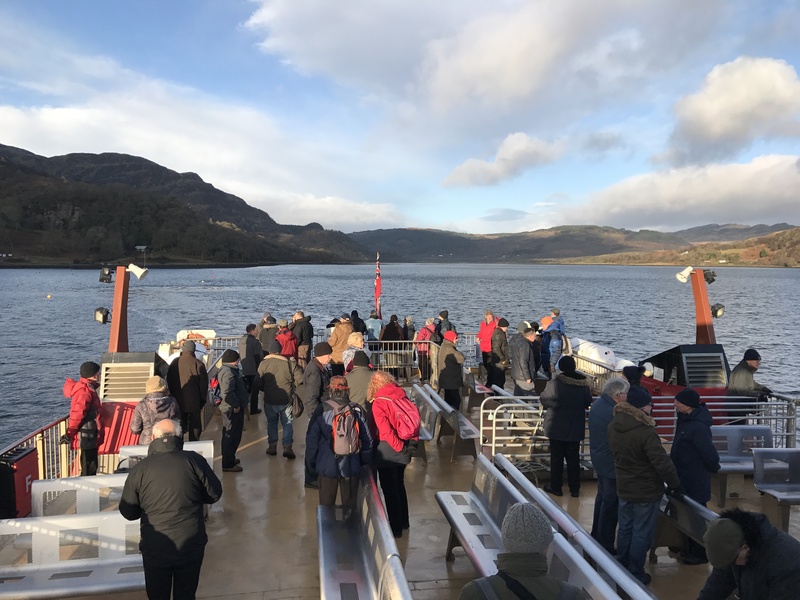 The annual PSPS & CCA (Coastal Cruising Association) Festive cruise will take place on Friday 28th December aboard MV Clyde Clipper. 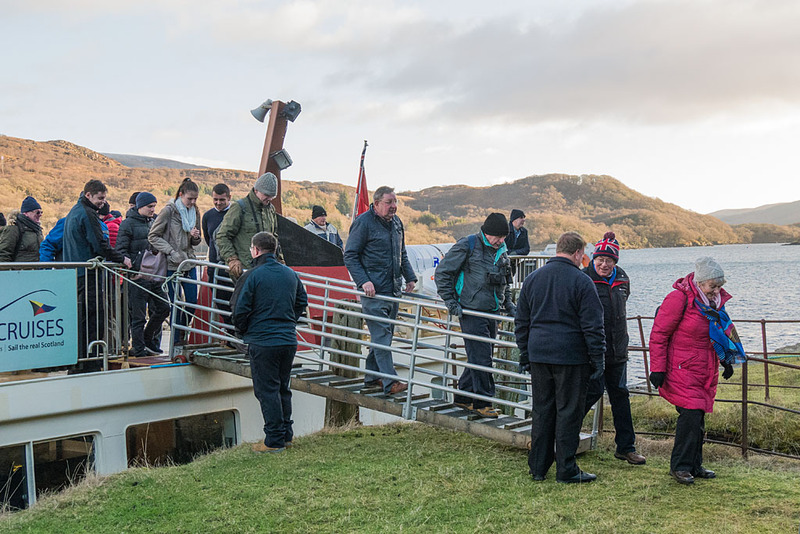 Clyde Clipper will depart Greenock's Victoria Harbour at 10:30am and then head down the Cowal coast and into Loch Striven. 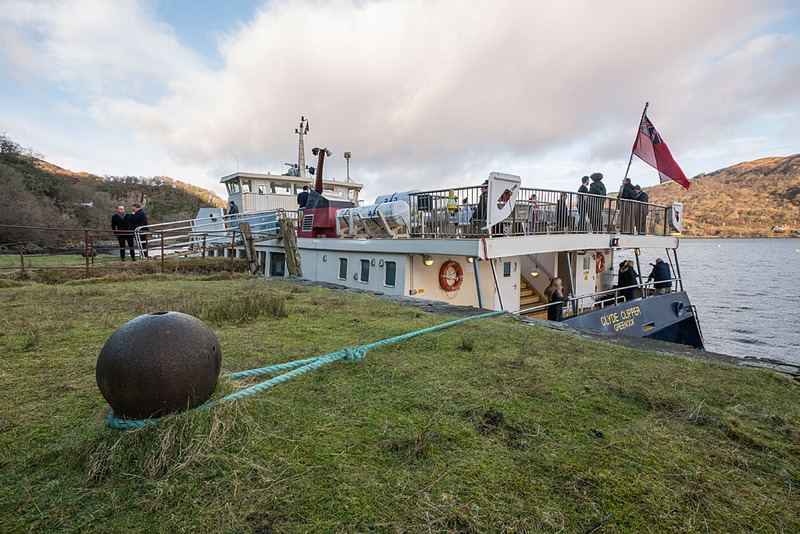 On the return sailing she will make a brief call at Rothesay before returning to Greenock at 4:15pm. Last year tickets for this cruise sold out and advance sales for this year have been very encouraging. 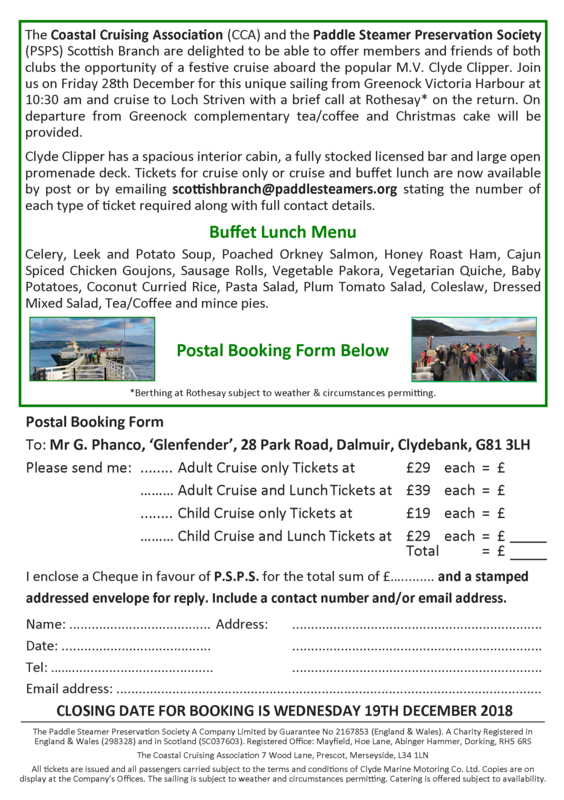 The postal booking flyer was sent out to all PSPS members with the last issue of Paddle Wheels. It was also sent to all CCA members with the October issue of Cruising Monthly. 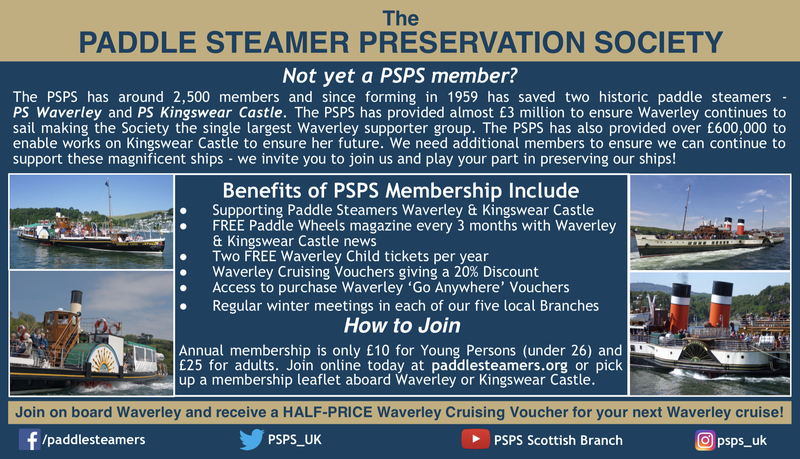 Tickets will be on sale at the next CCA meeting (Thursday 6th November) and PSPS Scottish Branch meeting on Friday 14th December. 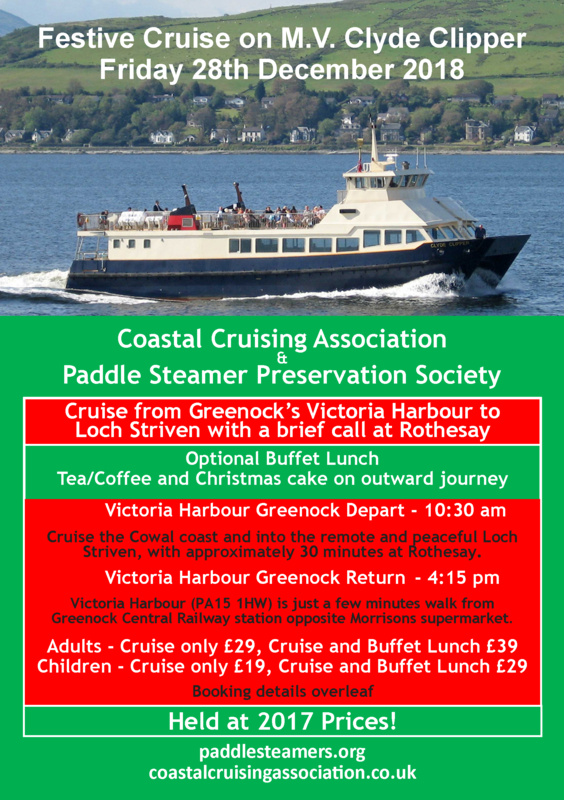 The booking flyer for the 2018 Festive Cruise. 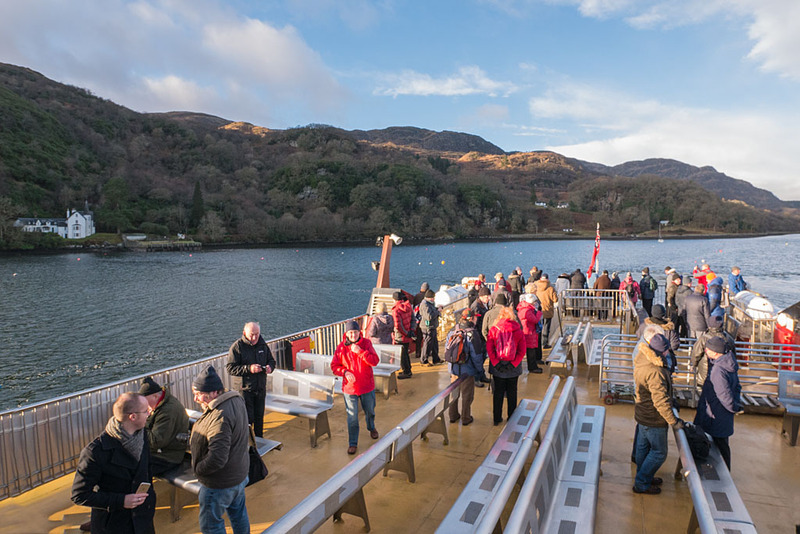 Below is a selection of pictures taken during the 2017 Festive Cruise. 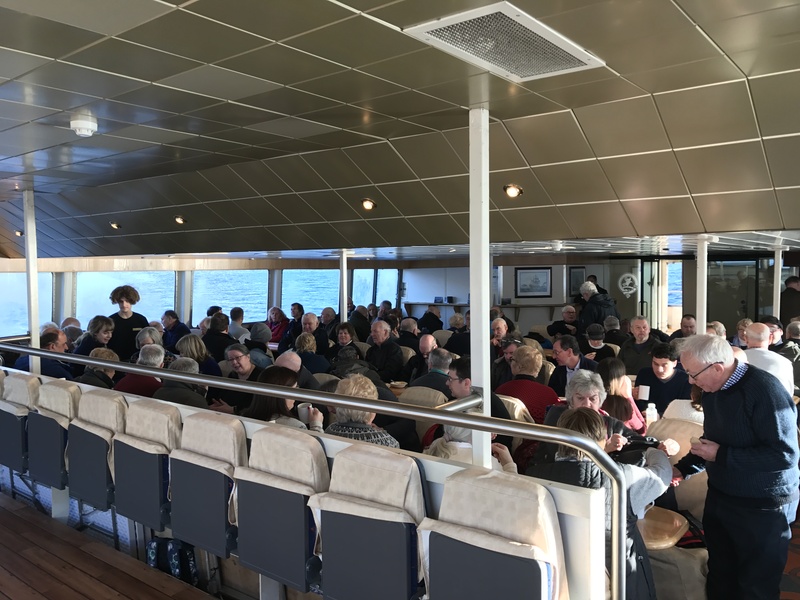 PSPS members enjoying the open deck space aboard Clyde Clipper. The spacious saloon on Clyde Clipper.